No Obligation, Confidential Free Quotations. Obtain Funds Via Remortgaging For Any Purpose. Wide Panel Of Mortgage Lenders & UK Advice. Have you been considering whether a remortgage could really save you money or enable you to release some funds to spend as you wish? Or maybe you are just looking to secure a long term fix whilst rates are so low? Well, there are a multitude of homeowners doing just that right now. 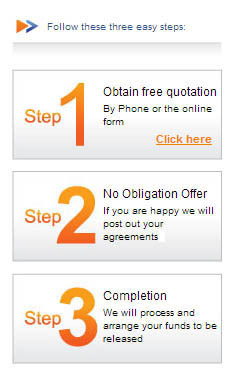 At First Choice our UK owned mortgage advice business has been arranging remortgages for over 25 years. Our lenders remortgages start at just a £10,000 total advance - going right up to £1 million and we don`t believe in dazzling you with jargon, we provide simple straightforward mortgage advice and our clients have already taken out over £1 Billion to meet their goals. If you choose us - our own advice team will confidentially and quickly establish if we can help, so we can provide you with a free no obligation quotation illustrating exactly what mortgage figures we can achieve for you. Then you choose whether to proceed or not in your own time - simple. 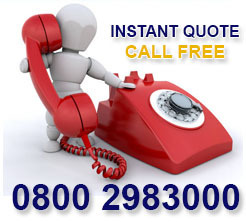 Either enquire through our short on line enquiry form , or give us a call freephone on 0800 298 3000 - alternatively ring 0333 003 1505 (mobile friendly). We have helped people from all walks of life and in many circumstances. Even if you just feel you should be getting a better rate, or find you are at a dead end, maybe after having been let down by another company ( don`t worry that happens quite often) or are just fed up of your bank and want to move on, by coming to First Choice Finance for UK experienced, helpful remortgage advice you could get the mortgage or remortgage that is right for you. In most cases a remortgage is referring to the process of moving the mortgage on your home from one lender to another, without actually moving house. 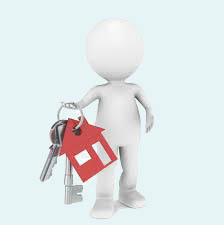 If you are changing the mortgage on a property you own but rent out, then that would be termed a buy to let remortgage. The process is that when your new remortgage completes the current mortgage balance, along with any early repayment charges (more on these below), owed to the previous mortgage lender is paid off with the money you are raising from the new mortgage lender. All while using the same property as security for the mortgage. Any extra money you have borrowed or excess that is left when the balances have been settled is paid directly to you, the homeowner. Your new mortgage lender is then paid by you in the normal way and they take a legal charge over your home as security in place of the previous lender. If you are still unsure whether it is the right decision for you, then let one of our friendly advisers give you some no obligation helpful remortgage advice, starting with just chatting through your circumstances over the phone. You would be surprised at how helpful talking your scenario over the phone can be - even the most confusing or complex of situations can often be resolved with a few simple questions. Depending on the individuals situation a typical remortgage timescale can be from 2-6 weeks. However, as every client is different, the remortgage advice we offer is tailored to you and so are the mortgages we arrange. Depending on what mortgage types suit you your process may vary slightly but here is a handy guide to give you a good idea of the hoops we will guide you through. The one constant you can guarantee on, is that we will put you at the forefront of the application for the whole time and the remortgage advice that you have received will be from attentive and knowledgeable advisers. Like most forms of finance there are often costs involved when you want to end an existing credit agreement or mortgage contract to go elsewhere, a remortgage is no different. What is very important to look out for is if your current lender are going to charge you any fees for moving the mortgage away from them. These are referred to as Early Repayment Charges (ERCs) and normally will decrease the longer you have had your mortgage, until there are none. These can be many thousands of pounds so your adviser will clarify these for you. There will also be some smaller charges for the administration from your current lender to `discharge` your mortgage from them. Unfortunately you can`t always avoid all charges and your new lender may need to charge you for their services when providing the new remortgage. Matters like Valuation fees, booking fees and application fees can all incur extra possible costs when remortgaging. 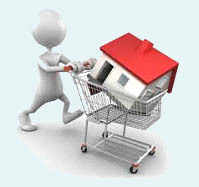 Fortunately some mortgage plans have positives like `cash back` upon completion which offsets any outlay. Like any mortgage we give advice on we try to cater to your every need and if those needs are that you do not want to pay any notable fees to the new lender, then we will do our very best to find you a remortgage that has none. Our fees are totally transparent and only payable upon completion. By taking advice you are leaving the hard work to your adviser and at First Choice Finance we also process the case on your behalf to keep this moving smoothly. As we also provide homeowner loans it gives you another way to get the funds you require if the remortgage route turns out to be unsuitable. Start the ball rolling, even if you just want to get a feel for the figures involved, by filling in our 60 second on line form or calling 0800 298 3000 (landline) 0333 0031505 (mobile) and we will try our best to find the right remortgage for you. Are There Other Options Besides Remortgaging? It is true that a remortgage can sometimes lower your interest rate and save you money. Sounds great right? However sometimes, for whatever reason, it isn`t always the option you want. If you have taken on all of the remortgage advice that we have to offer and haven`t yet found what you are looking for don`t worry, it isn`t the end of the road, a homeowner loan may yet be the answer. In the case of a remortgage, you may have been interested because you want to obtain some extra money for home improvements or debt consolidation. Well if you would prefer to keep your mortgage rate with your existing provider, or the Early Repayment Charges are too high to make it viable, then maybe you would be interested in an any purpose homeowner loan to get the finance while still keeping your existing mortgage provider and rate? Perhaps you are looking to borrow money against your existing property to buy a second home? In this scenario we could arrange a remortgage for you on your current home and then arrange a purchase mortgage as either a Buy to Let mortgage or a second home mortgage for you. If you give us a call and ask for some advice on remortgaging, you may be pleasantly surprised as to just how many options there are available to you. 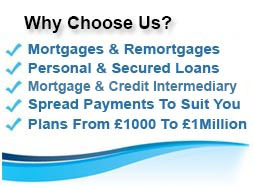 Long Term Secured Loans An Alternative To Remortgaging. If you have early repayment charges on your current mortgage an alternative option is secured loans also known as a second mortgage. Secured loans are loans that can be used for almost any purpose, spread over 5-25 years, you can borrow up to £100,000 with a secured loan. Remortgage To Pay Off Debts? 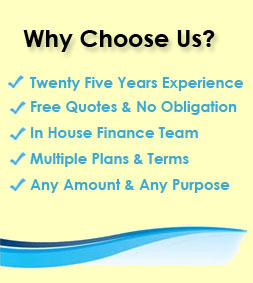 With 25 years experience First Choice have lots of plans to choose from. Even if your LTV is 80% there are initial rates of just 2.2% being offered.